What Are Some Good Long-Term Investments To Make In Your 20s? What is an investment? An investment is something you put money or effort into in order to get a better return on it later. There are many ways to invest in your 20s but it can be overwhelming to decide what sources, ideas, or markets to put effort into. Here are some of the best long-term investments to make in your 20s. Purchasing a home is one of the best investments you can make in your lifetime. Why? Well, it either stays in your family for generations to come, or you can get a return on your investment by making a quick sale. 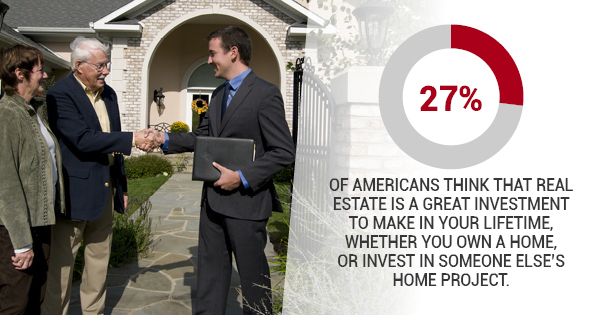 Nearly 27% of Americans think that real estate is a great investment to make in your lifetime, whether you own a home, or invest in someone else’s home project. Investing in your own home is a worthy feat in itself. While the real estate market is ever-changing, selling a home as is is the best way to make the biggest return on your investment. When you want to start a family and move from your current home, selling a home will be that much easier when you’ve already put in time and effort into making it better. This one isn’t as tangible as selling a home or other short sale solutions, but investing in your retirement early is the best way to go. Retirement accounts are a long-term investment you usually can’t touch until you’re around 60. This will guarantee you have a cushion when you finally do retire, whether that be at 60 or even 70. You can buy stocks and bonds for a retirement account while contributing to a pretax basis as long as you meet the specific requirements for your personal account. This one seems a little lame, but taking the steps to continuously better yourself is always worth the time and effort. Investing in yourself and your skills is a huge asset, both for your personal relationships and your career. By taking communication classes, you can learn to become a better listener. By reading a book or two every month, you can become aware of different perspectives you may have never considered before. Even making simple decisions, like waking up a little earlier to get more done can have major benefits you would never have had otherwise. Whether you’re selling a home without a realtor, investing in your retirement, or making efforts to improve yourself as a person, there are countless ways to make proactive investments in your 20s. While immediate gratification is lacking, long-term investments are a way to thank yourself later.